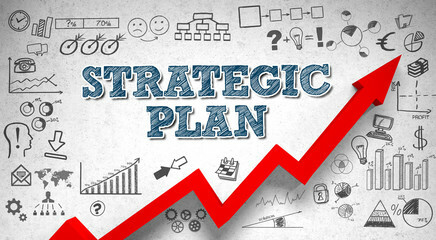 7 Focus areas of Strategic Planning - Vermillion Financial Advisors, Inc.
Much of the burden and risk of planning for retirement has shifted from employers to employees. Also the availability of funds under our social security system is subject to change. A review of your expected retirement needs, along with assets currently available, the amount of the savings, and the length of time to the desired date of retirement should be considered. planning goals and objectives should be implemented on an ongoing basis. Risk management and insurance planning calls for obtaining the appropriate amount of health, life auto, homeowners, general liability, and long term care insurance. The goal is to allocate premium dollars to reduce significant risk and exposures. This includes using the appropriate deductibles and in some cases, deciding not to insure against a potential loss. However, one should never risk a large loss to save a small premium. Current expenditures can be reviewed and a budget prepared that would document modifications based on ones’ goals. Included would be a review of the items. Of all outstanding debt to investigate opportunities to refinance at more favorable terms. This can be accomplished with additional savings and/or a home equity line of credit. Education costs continue to increase at a higher rate than the rate of inflation. A review of the progress toward funding education should be completed along with investing potential sources of financial aid. An appropriate investment strategy can only be made after considering the other components to one’s financial plan. In this fast changing world of investing, there are many opportunities available today not previously available. A good example is the increased popularity of online investing. Keep in mind, however. That studies indicate that a proper and wise allocation of investments is the largest determine of investment success.